﻿ GPS location finder. SOS app. SOS SMS sender. Placestor. Are you feared of kidnapping? Are you afraid of an accident? Are you afraid of getting lost? Simple & Accurate & Fast & Effective! Take the first step with Placestor. One small step for you, one big step for your safety. Useful app shouldn`t be missed in any android mobile equipped with GPS. Placestor belongs to the useful apps. It shouldn`t be missed in any android mobile equipped with GPS. The main purpose of Placestor is „send my location“ in a text message as GPS coordinates. 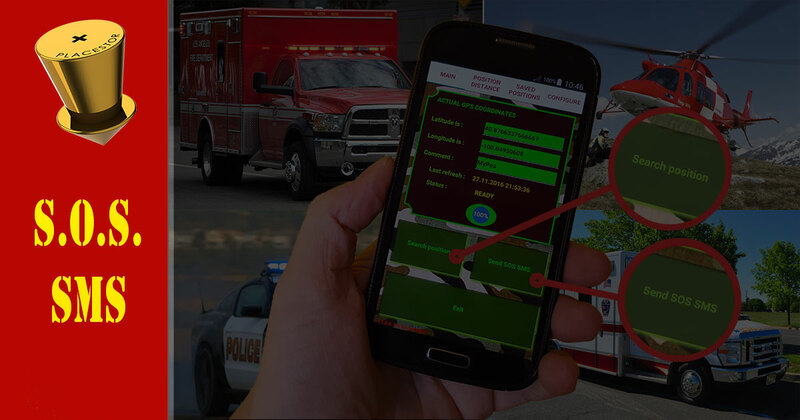 If you have an accident, Placestor will help the rescue (emergency) team to find your location and save your life. Trust me, you will be really glad you can send your GPS coordinates without any big effort. if I had an accident and I would be injured, would I be able to explain the rescue team where is my location and where they should look for me? Where they can find me? I wish noone would ever need it but you can be prepared. (see Tutorials). 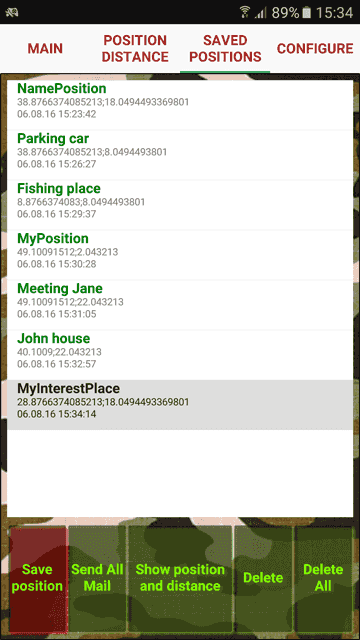 Placestor can change your android mobile into fully functioned GPS location finder. It also includes the function that calculates the distance between two places. Between the actual location and the location saved in the list. PRO version does not contain advestising. SOS Morse code in the past. SOS SMS now. 'Save Our Soul' as easily as possible. Do not wait until they start looking for you. Take the first step to save your own life. If you have an accident, Placestor will help to save your life. In such situation, a person is stressed out and under huge physical and mental pressure. Focusing on any activity is very difficult. You want to call for help as soon as possible using the easiest way. Everything is simply orgainized for user. 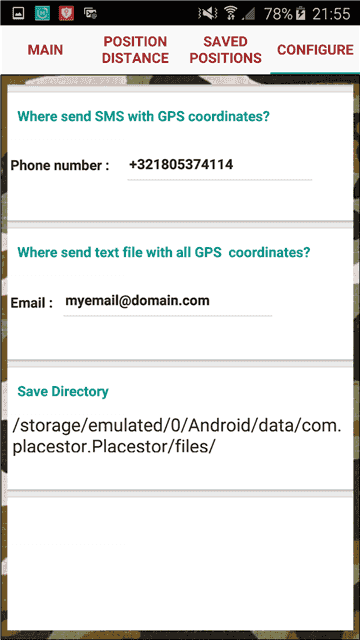 The easiest way to send location in short text message as GPS coordinates. Why I created a Placestor ? I created a Placestor due to a very serious experience in my life. So, what has really happened? I had to drive a lot to the remote locations where you hardly found any residence area. I was driving home when suddenly a deer ran into my car and it caused a bad car crash. I couldn’t move, my chest and neck were also injured. I tried to call an ambulance or any help. Mobile phone was ok but the operator reception was really poor. I managed to make a call but it was interrupting all the time. So I decided to send a short text message, thinking it would be ok. So it was. Due to a bad reception there was also a problem with localizing my position. After recovering in a hospital I decided to invent an application which would be helpful in a situations like happened to me or helpful in any similar situation. I created a Placestor that does the neccessary when needed. If I had had it with me at the time of the accident I would have avoided huge physical pain as well as health complications. If it was up to me, I would have set this application as a mandatory standard mobile equipment as you never know when it can safe your life. How to use Placestor in critical situation? How to use Placestor - Configuration? How to use Placestor - Calculate distance between two places? How to use Placestor - Saving a position? Search & Show & Save & Config. Searching GPS coordinates.GPS location finder. 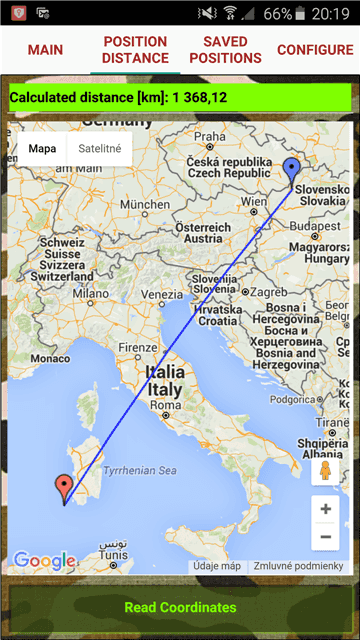 Calculated air-distance GoogleMaps.GPS location finder. List positions Send SMS Email Show.GPS location finder. Settings phone email.GPS location finder. © Copyright 2016 by Placestor. All Rights Reserved.